Chris Kresser: Hey, everybody, it’s Chris Kresser. Welcome to another episode of Revolution Health Radio. This week, I’m going to answer a question from Adam. Let’s give it a listen. Adam: Hi Chris. I’m hoping you could do a podcast on how to treat anxiety. I have a long history of anxiety and presently my neurologist thinks it is the primary cause of the tonic-clonic seizures I’ve had on average once a year for the past 12 years. This is also based on the fact that no test from an orthodox medicine perspective has been able to find a cause or treatment for these seizures. I was also a vegetarian for nine years who has just begun to eat seafood and fish oil supplements in part because of my recent discovery of your blog and podcast. If you could address anxiety treatment with mention to a pescatarian diet, I’d be really greatful. Thank you. Chris: Thanks for sending in your question, Adam. It’s a question we actually get quite often, so I wanted to address it during this episode, and it’s also a good question to look at because it illustrates some really important general principles regarding functional medicine which, as many of you know, is, I believe, is the most effective approach to dealing with chronic health problems including things like anxiety and depression. In the conventional understanding of anxiety and depression, the idea is that it’s caused by an imbalance of neurotransmitters in the brain, and then the treatment involves medications that increase the availability of those neurotransmitters or at least have some effect on those neurotransmitters in the brain. So, for example, if someone has depression, they take SSRIs that alter the availability of certain neurotransmitters in the brain. With anxiety, it’s more a question of reducing the production of certain substances or increasing the production of other substances that can lead to a reduction in anxiety. And I think there are cases where these medications can be useful and perhaps even lifesaving. So, I wouldn’t argue that they don’t play any role at all. However, in functional medicine, we’re always trying to get to the root of the problem and address it at that level, instead of just suppressing symptoms. So, one of the analogies I’ve used a lot in the past, and you’ve probably heard it a few times if you’ve been following my work for any length of time, is if you have a rock in your shoe and it’s causing your foot to hurt, you could take Advil or any other painkiller and that would certainly reduce the pain, but obviously, that’s not a great long-term solution. The best option there would be to take your shoe off and dump the rock out, and that’s really what we’re after in functional medicine. Suffering from anxiety? Check out these three root causes. So, when we think about anxiety and depression through a functional medicine perspective, we want to consider what are the underlying causes that lead to anxiety in the first place, in this particular case, with Adam’s question, because even if the anxiety is caused by an imbalance of neurotransmitters in the brain, what is causing those neurotransmitters to go out of balance in the first place? They didn’t just go out of balance for no reason. I mean, as human beings, we’re designed—anxiety is not our natural default state. I mean, certainly, fear in some situations is appropriate from an evolutionary perspective. It keeps us alive, keeps us out of danger, and it’s an appropriate response. But chronic anxiety that’s always there that’s not really situational or based on what’s going at any given moment is not normal for a human being. So, what is causing those neurotransmitters to go out of balance in the first place is the key question that we need to answer if someone is suffering from anxiety. So, I’m going to kind of approach this as if a patient had come to see me, or Adam, you’d come to see me at the clinic. Of course, I don’t have any laboratory test results and so I can’t make any specific recommendations. But I can tell you what I would do, what I would look at, and then I can give you some ideas for your own exploration and then some things to try in the meantime while you’re taking a closer look at some of these mechanisms that may be contributing to the anxiety. So, the first place we’re going to look, which may not surprise you, again if you’ve been following my work for any length of time, is the gut. There is a huge and growing everyday body of evidence connecting the health of the gut to the health of the brain. In fact, there’s a saying in functional medicine, fire in the gut, fire in the brain, which means that if you have inflammation, parasites, small intestinal bacterial overgrowth, fungal overgrowth, or dysbiosis in the gut, then that is going to produce an inflammatory response that in turn affects the brain and can cause inflammation and a whole bunch of other problems in the brain, and this is not a fringe theory at this point. 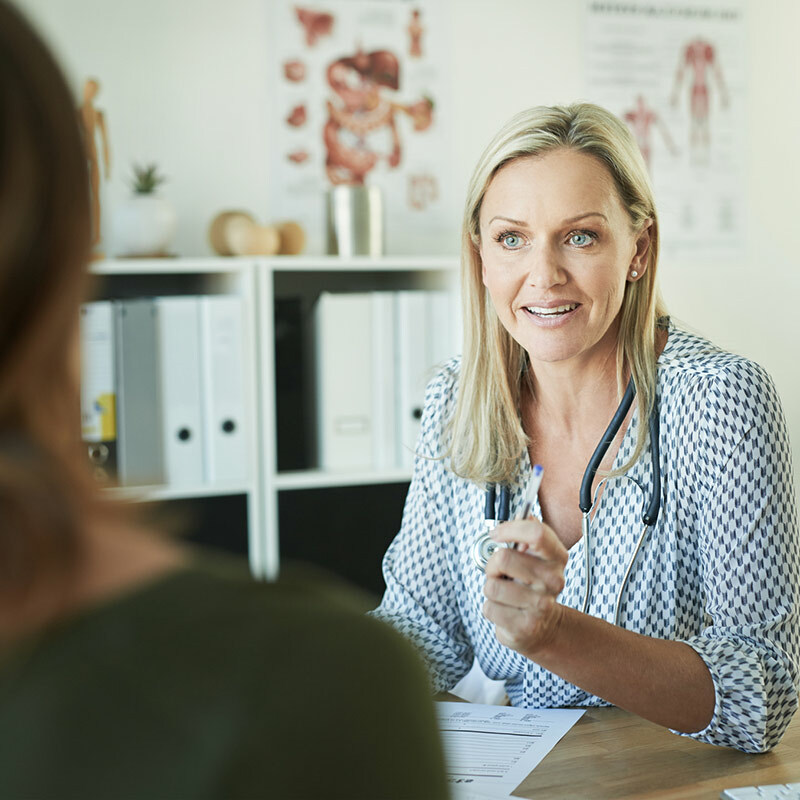 It’s true that unfortunately not a lot of primary care doctors or even psychologists or psychiatrists are aware of this connection, but that doesn’t mean it isn’t well established in the scientific literature. It absolutely is. And in fact, it’s been known for almost a hundred years going back to some research that was done at Duke in the early 1930s and 1920s connecting the gut and the brain and even the skin in this axis—the gut–brain–skin axis, which I’ve written and spoken about before. So, the other thing is that there is more serotonin. There is about 400 times more serotonin, which is a key neurotransmitter produced in the gut, than there is in the brain. So, we tend to think of the brain when we think of neurotransmitter production, but the fact is, there are orders of magnitude more of certain neurotransmitters produced in the gut than there are in the brain. And in fact, some physicians and researchers have argued that the gut really is the second brain. It’s an organ that is essentially an entirely distinct branch of our nervous system, and it’s been referred to as the enteric nervous system. It’s really just a big bundle of nerves, so it shouldn’t be that surprising that there’s a strong connection between the gut and the brain, and the dysfunction in the gut can lead to a variety of cognitive, mood, and behavioral disorders, so not just anxiety, but also depression. In fact, the most current theory on what causes depression is called the inflammatory cytokine model of depression, which holds that inflammation, whether it starts in the gut or somewhere else in the body, suppresses the activity of the frontal cortex and causes all the telltale signs of depression. 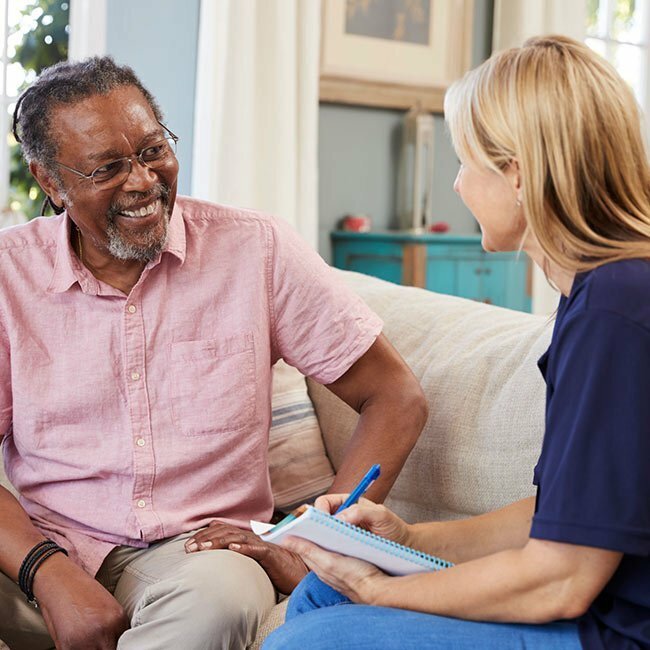 There is research linking GI disturbances with Parkinson’s and Alzheimer’s disease, with ADHD, sensory processing disorder, OCD, and even schizophrenia and psychosis. So, there really aren’t very many cognitive, behavioral, or mood disorders that are not linked to problems in the gut at this point, and I expect that connection will just grow and grow as more research is done. So, working with a functional medicine practitioner, if that’s possible, to check for SIBO, parasites, fungal overgrowth, dysbiosis, and inflammation is a really good step to take if you’re suffering from anxiety. 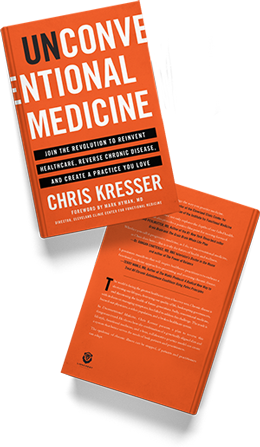 If that’s not accessible to you for any reason, the best place to start would be my free e-book on improving gut health, which you can get at chriskresser.com. It’s completely free and has a lot of great suggestions for getting started. The second area I would look is called the HPA axis, or the SAS. The HPA stands for hypothalamic–pituitary–adrenal axis, and SAS stands for sympathoadrenal medullary system. So, those are a lot of fancy words, but in short, what this refers to is the system that governs our stress tolerance and our response to stress. You’ve probably heard about it in the context of the fight-or-flight response, which is when humans are faced with a stressful event, let’s say, from an evolutionary perspective, if we’re approached by a predator like a lion when we’re out for a walk on a plain and we see a predator. In a more modern context, if we’re in a dark alley and someone’s walking toward us and we feel our heartbeat increase and blood kind of rushing through our extremities and our respiration increases and all of these physiological responses that happen to prepare us for either a fight or to run away, these are part of the SAS and the HPA axis. We don’t just experience this acutely, of course. In our modern world, we have chronic stressors like financial stress, relationship stress, work stress. Just the stress of daily life is constantly activating these systems. What happens when these systems are chronically activated, which they weren’t really designed to be, is that it leads to changes in the output of stress hormones like DHEA and cortisol and pregnenolone, which in turn affects the production of many other hormones and neurotransmitters in the body. And so, essentially, we have a stress response system that evolved in an environment that was more characterized by acute stressors. So, warfare and trauma, predators, and things like that, but our stress system is not really designed well for the chronic low-level persistent stressors that we face on a daily basis, and that mismatch between our genes, our biology, and the stress system that evolved in the environment that humans lived in for thousands of generations, and the environment that we’re living in now is, I think, and the research supports this, one of the primary contributors to modern inflammatory disease. So, when we think about the HPA axis and the SAS, there are four main triggers that lead to dysfunction of these systems. One is the obvious one, which is perceived stress. So, perceived stress is important to understand. The only stress that affects our health in a negative way is the stress that we perceive to be stressful, and that might seem obvious, but it explains why not all stress is harmful. In some cases, what might stress one person out doesn’t cause stress for another person, and that’s a result of our background, belief system, and a number of other factors. But there are a number of factors that determine whether something is perceived as stressful. The novelty of the event, so generally we’re more stressed by new things than we are by familiar things, the unpredictability of an event, the more unpredictable something is, the more stressful it is for us. These are the kinds of factors that determine whether something is stressful for us in the first place. So, we have perceived stress as a major trigger, then we have inflammation. So, this is just a purely physiological thing. If you’re inflamed and you have an inflammatory condition like a GI problem we just talked about, even if you have no perceived stress, that’s still acting as a stressor on your body, and the same is true of blood sugar dysregulation, which is epidemic in our country, and also circadian disruption, which is another epidemic that’s not commonly recognized. That means too much exposure to artificial light at night and not enough exposure to natural light during the day. Humans, along with every other animal and organism on earth, evolved in a natural 24-hour light-dark cycle, and it’s only in the last 150 years where we’ve been able to alter that and move away from that, and that has had a profound impact on our health. 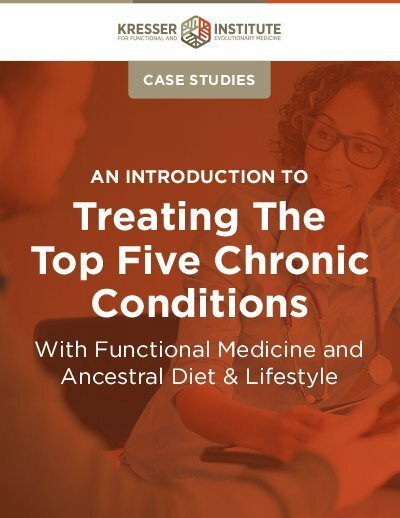 So again, if you’re able to work with a functional medicine provider, they can assess your HPA axis and SAS using things like the DUTCH test—Dried Urine Total Comprehensive Hormone test—or the saliva or cortisol awakening response test, which is different than the adrenals stress index, saliva tests that are typically done, which are problematic for a number of reasons. 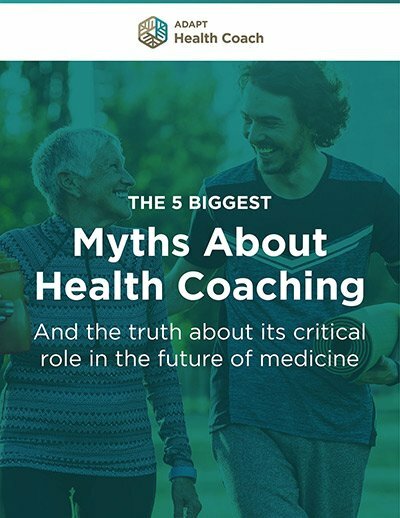 But if you don’t have access to a practitioner or even if you do, you can also just focus on addressing those four triggers—perceived stress, inflammation, blood sugar, and circadian disruption. So, addressing perceived stress might involve reducing the stress that you’re exposed to, if that’s possible, learning to say “no” for example, not spending time with people that stress you out, if that’s possible and you have a choice about it, and then managing the stress that you can’t avoid. And that involves things like possibly a meditation practice, a yoga practice, tai-chi or qigong, deep relaxation practices, mindfulness-based stress reduction, prayer. I mean, any number of things that you can do to approach this, and if you need some support with this, I have my 14Four program. I have some videos that I recorded of instruction in tai chi and also meditation. There is lots of stuff online that you can find for this too, if you need support in implementing a practice like that. But then, regulating your light exposure, so not using tablets and other devices that emit blue light at night too close to bed and making sure you get some bright light exposure during the day, following an anti-inflammatory diet and taking other stuff to reduce inflammation, making sure that you’re not eating too many processed or refined carbohydrates, and doing things that help regulate your blood sugar, all that can play a big role in terms of regulating the HPA axis and the SAS. The next thing we would look at would be nutrient deficiency. There are many nutrients that play an important role in mental health: B12, folate, zinc, copper, EPA and DHA, vitamin D, choline, B6, riboflavin, just to name a few, and several of these nutrients have been shown to be lower on average in vegetarians and vegans than they are in omnivores. And Adam, you mentioned that you have been a vegetarian for nine years who just recently had begun to eat seafood and fish oil supplements. And so, it’s possible that through that vegetarian diet over that nine-year period, you became depleted in some of these key nutrients that play an important role in mental health. So, again, if you have access to a functional medicine provider, you could consider getting nutrient testing. Both blood testing and urine organic acids can be helpful for that, and then you can systematically address those deficiencies as you identify them. But even without access to that kind of testing, we can just make some assumptions about which nutrients might be low, given your symptoms and the connection with anxiety and the history of vegetarian diet. So, we already mentioned them: B2, folate, choline, B6, B2, and zinc. These are nutrients that are especially important for a process called methylation, and we’ve talked about methylation before on the podcast. I think we’ve done at least two episodes on it, so if this is a new concept to you, make sure to check those episodes out. There is some really good info, and also we’ve written some blog articles about it. It can get pretty complex when we talk about methylation, but at least in the context of your question, Adam, an important thing to understand is that methylation is a process in the body that profoundly affects neurotransmitter production. So if you’re not methylating properly, you won’t produce neurotransmitters efficiently, and that can lead to anxiety and other cognitive and mood disorders. And the key thing to understand is that some of the nutrients that I mentioned which can be depleted by a vegetarian diet are those that are very important for methylation, like B12, folate, B6, choline, riboflavin, and zinc. So, when you take out some charts that list the density of nutrients of these particular nutrients in various foods, what you will inevitably find is that the two food categories that are highest in nutrients that are important for methylation are shellfish and organ meats. So optimally, for a patient who probably has impaired methylation and who is dealing with anxiety and other cognitive or behavioral issues, I would recommend a diet that includes shellfish and organ meats as well as other nutrient-dense foods like non-starchy vegetables and other animal products and nuts and seeds and fruits, etc., sea vegetables for iodine and animal fats or some traditional fats for vitamin A and D, and of course seafood for vitamin D and selenium and other nutrients like that. If you’re only willing to eat seafood, then I would definitely suggest including shellfish. Clams and oysters are particularly important in terms of their nutrient density. They are the highest sources of iron, zinc, and B12. So, I’ve actually argued in the past that it would in some ways be better for someone to be a vegetarian that eats shellfish and organ meats, which of course they’re not a vegetarian anymore if they do that, but to have a diet that’s vegetarian in every other way except that they eat shellfish and organ meats consistently, than it would be for someone to eat a Paleo diet where they’re eating lean muscle meats all the time but with no shellfish or organ meats. If we add things like bone broth and the more gelatinous cuts of meat like ox tail, shank, and things like that, it makes the diet even better. But because that contains glycine, those cuts, and the broth contains glycine and other nutrients that can’t be found in the lean muscle meats and even just seafood, that’s not shellfish. So, you know, if you’re only willing to eat seafood at this point, what I would really do is make sure you’re including shellfish at least twice a week, clams and oysters. The good news is you don’t have to eat a lot of clams and oysters because they’re so nutrient dense. A single serving of oysters for example, I think, meets your entire weekly need for copper and maybe even zinc as well. I don’t remember off the top of my head, but if you incorporate shellfish even a couple of times a week, that could actually make a profound difference. If you’re willing to incorporate organ meats like liver, that’s even better because liver is the best dietary source of folate and folate is crucial for methylation, and they’re also very high in B12 as well. So just a few tweaks in the diet could go a really long way in this case. One is cannabidiol, or CBD. This is the non-psychoactive component of cannabis, so it doesn’t lead to a high like THC does, and I’m sure you’ve heard about it. If you’re not familiar with it, a lot of research is now being done on it. It’s been shown to be anti-inflammatory and has an anti-anxiety effect, possibly an antidepressant effect. It has been shown to be helpful with some cancers, and it’s available over the counter because it doesn’t have any THC in it. It can be sold online and ordered legally from almost all states, as far as I know. So, it’s generally important to find a water-soluble form, and if you do find a water-soluble form, Super CBD is a good one, 250 mg a day is a good therapeutic dose. You probably want to start with a lower dose and increase slowly because there’s a small subset of people who seem to experience an increase in anxiety from taking CBD and so you want to just be cautious with that and start with the lower dose and build up slowly. Taurine is another nutrient, amino acid, that is a precursor to and an activator of GABA, which is the major inhibitory neurotransmitter, and a lot of people with anxiety have been shown to have low levels of GABA, so taking taurine can help increase GABA levels. The recommended dose is 500 mg up to 3 grams per day, and again, it’s typically recommended to start with a lower dose and increase slowly. And then, L-theanine, another amino acid, this substance is found in green tea that increases alpha brain waves and decreased beta brain waves and can have a really calming and relaxing effect without causing drowsiness. L-theanine can make you feel simultaneously more alert but more calm which—doesn’t everybody want that? I like the Suntheanine form of L-theanine and a dose of 200 to 400 mg per day, maybe 200 in the morning and 200 in the evening is a good place to start for people with anxiety, or 100 mg in the morning and 100 in the evening for starting at a lower dose. So, that’s a number of suggestions both looking at the core pathologies and the underlying mechanisms that contribute to anxiety and some other ideas to give you some relief right in the short term while you’re addressing those other underlying mechanisms. Okay, that’s it for today. I hope that was helpful for you, Adam, and for anybody else who is suffering from anxiety. The good news is, with the functional approach, you actually have the potential of really addressing the problem at its root cause and fixing it once and for all rather than continually applying Band-Aids. The bad news is that it can take a little bit longer to do that and requires a little bit more work on the patient’s part, but I think it’s worth it and pays off in the long term. So, I mentioned in the last episode that we’re going to be moving back to a Q&A format, so I really appreciate your questions. You can send them in to me at chriskresser.com/podcastquestion. Have a great week and I’ll talk to you soon.